Napton Art Group’s annual Easter Exhibition takes place on Easter Saturday and Sunday from 10am to 5pm in Napton Village Hall. Lots of fabulous paintings on display (most are for sale) plus cards, handicrafts, cakes and preserves. Refreshments available. Tombola and Raffle Come along and view the paintings, have some tea and cake, and support your local amateur artists! Popular local band Chain of Fools will be appearing at Southam Sports and Social Club on Easter Saturday 20th April from 9pm. Get your friends together and take part in our weekly quiz. The winning team will receive 8 drinks vouchers. Jolly J’s runs every Monday morning in St James Church, Southam, excluding Bank Holidays. 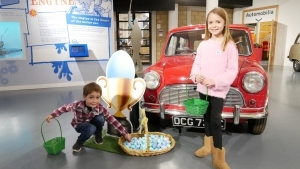 Fun for all, and older siblings are welcome. Southam Stompers runs weekly line dancing classes at The Grange Hall Southam. Classes are run by a trained and approved instructor of the B-W-D-A Beginners: Monday 10am to 11am Improvers: Tuesday 10.30am to 11.30am Intermediate: Wednesday 7.30pm to 9.30pm Join us for socialising and dancing. For ladies and gentlemen. No partners required! Southam’s Food Bank, assisting those in need. Donations welcomed. Come and join us for friendly stitching sessions in good company – sewing, knitting, crochet etc. Monday afternoons in the Activity Room in Tithe Place. New members always welcome. Every Tuesday morning on Market Day from 8.30 am – 12.30 pm, a Table Top sale is held in the Activity Toom at Tithe Place. This is situated near the cafe, beyond the Library. A wide range of items are for sale: bric-a-brac games toys cards haberdashery jewellery clothes vintage and much much more. Occasionally there is a charity raffle. Everyone is welcome. Wheelchair access. Every Market Day (Tuesday), Southam & Bishops Itchington Congregational Church opens its doors between 10am and 12 noon offering coffee, tea and biscuits (and sometimes cake!). 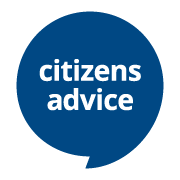 This is a friendly, sociable, drop in event and a chance to meet your friends for a chat. Everyone is welcome, payment is by donation, and we are right opposite the Market in Wood Street. 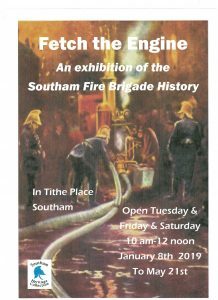 A free exhibition of Southam’s Fire Brigade history in Tithe place on Tuesday, Friday and Saturday mornings. Old photos of the firemen. Technical info of the steam pump. Stories of fires and crashes. Southam’s Fire Brigade history in a book. History of fire fighting video. A children’s fireman’s uniform to try on. And much much more.